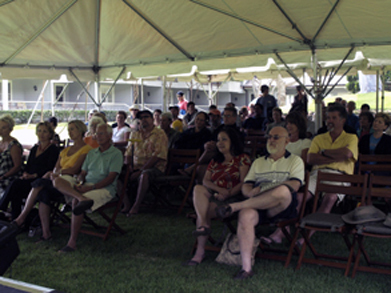 Hawaiian Slack Key Master Dennis Kamakahi performed on Lanai as part of the Free Concert Series twice. 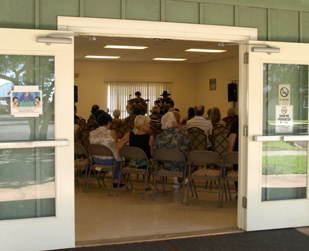 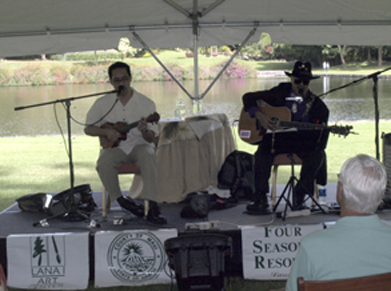 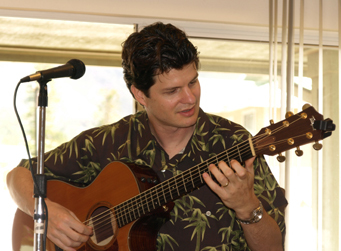 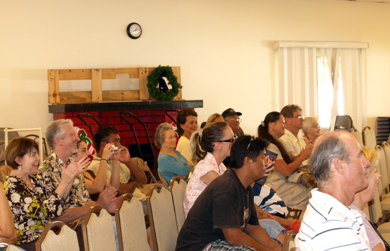 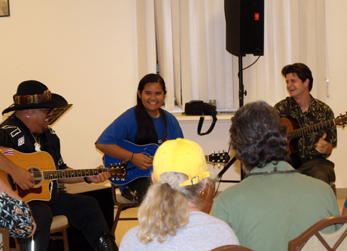 Joined by Jeff Peterson, the duo presented a Slack key Symposium at the Lanai Senior Center in 2007, and then Dennis returned in 2008 with his son David to perform a lovely concert outdoors on the lawn at the Four Seasons Lodge at Koele. 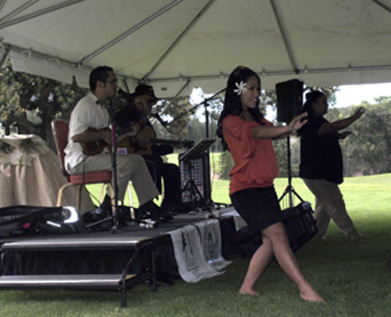 HSFCA staff Denise Miyahana, Keoni Veity and organizer Jay W. Junker! 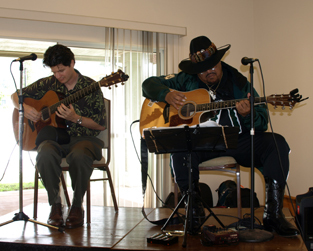 It is always difficult to write about music. 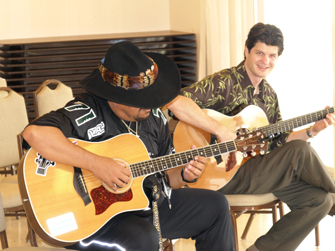 Even more so when trying to describe the exceptional two hours a rapt Lana`i audience passed under the spell of these two talented musicians as they talked story while performing, providing us all with great insight into the history, forms and nuances of Slack Key guitar playing, Hawaiian musical history and their own diverse influences. 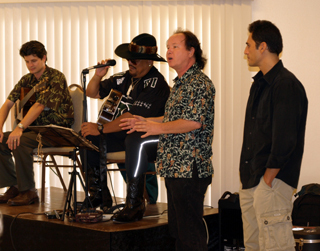 It was an exceptionally rare treat! 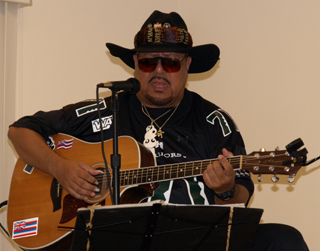 Click here to visit Dennis Kamakahi's web site to buy CD's, look at photos and more!